Congratulations! You’re getting married! It’s never too early to ‘save your date’ for your wedding cake especially if you want a particular cake designer to design your dream wedding cake! I have alot of couples telling me that they love eating cake but do not know a lot about ordering one for their wedding! Don’t worry we are experts at what we do and are here to help and guide you through a very simple process. Simply have a look at our recent creations and if you would like something similar or something completely different just complete the contact form giving as much detail as possible and we will be in touch to advise you if we are available for your date. Once we are available for your wedding date we can organise a date/time for your cake tasting consultation. Throughout the year we have set dates for cake tasting consultations which are booked by appointment. There is no charge for the set consultation dates. Should you require a cake tasting consultation at another time there is a small charge of €30 per couple but if you decide to ‘save your date’ on the day by paying your deposit this charge is then offset against the final balance due on your cake which is 2 weeks prior to your wedding. What happens at the Cake Tasting Consultation? 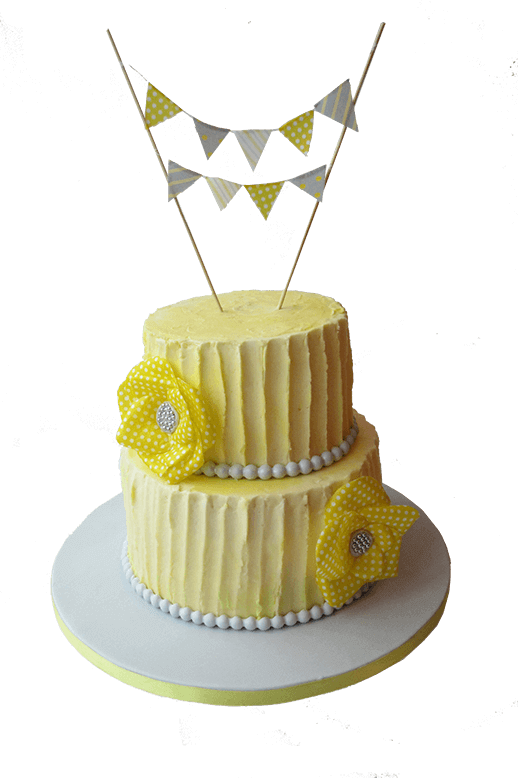 We also ask that you give some thought to your cake style and design in advance of your tasting consultation so that you get the most out of your 45 minute consultation. How many guests will be at the wedding? Do you want to keep the top tier? Do you need cake for the after party? Would you like cupcakes for your drinks reception? What style of cake do you like, tiered, separate tiers, sugarpaste, buttercream, naked or semi-naked finish? What vision do you have for your cake? Do you want to incorporate your individual personalities into your cake? Where to get inspiration from? Swatches of material from bridesmaids dresses, your invitation, pictures of cakes on pinterest etc. Decide on the value of your cake. It is important to understand we only take one wedding order per wedding date so if you would like to book your date, first check availability and then pay your deposit to secure your date even if you have not fully decided upon your design/flavours. 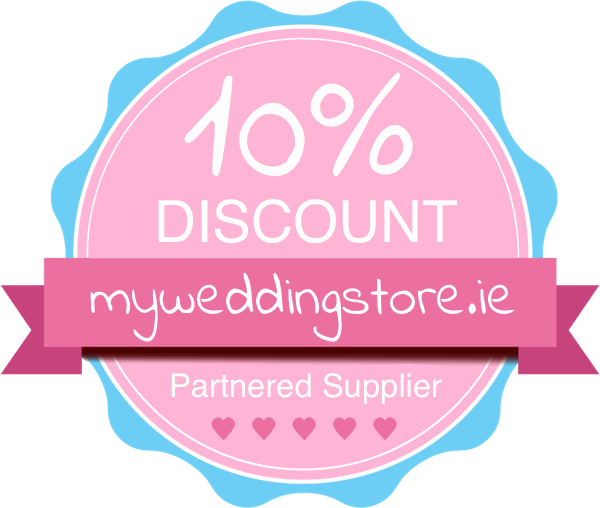 €150 non-refundable deposit is required to secure your wedding date https://cacawillis.ie/single_payment/. 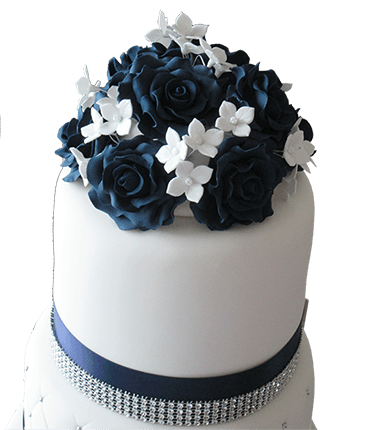 Once all cake details are finalised the couple will receive a cake contract outlining all the terms and conditions. 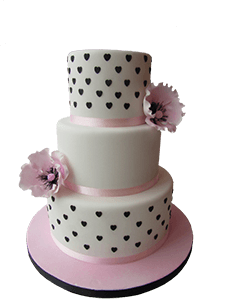 On the wedding day itself the hotel’s wedding planner or another hotel representative will sign to accept responsibility for the cake once it is set up at the venue and will be provided with an Allergens listing for each tier of the cake. As Wedding cakes are custom designed for each couple it is difficult to have set prices as they vary so much depending on size, flavours and design. 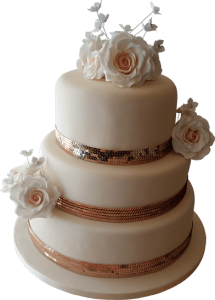 The more intricate the design, the higher the price as labour is a big portion of the cost of a wedding cake. 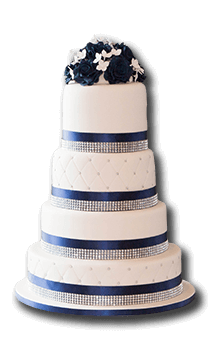 Please note portion guide is based on a round wedding cake 1″x 1″ finger slices and is approximate depending on how your cake is cut.